How do you choose your ski partners? I sure try to be careful about it all. We'll scoot around the ski resort, ease in with some roadside pow shots, go to known ground, all before launching into more committing ventures. However, sometimes you just know. But how? How do you know? 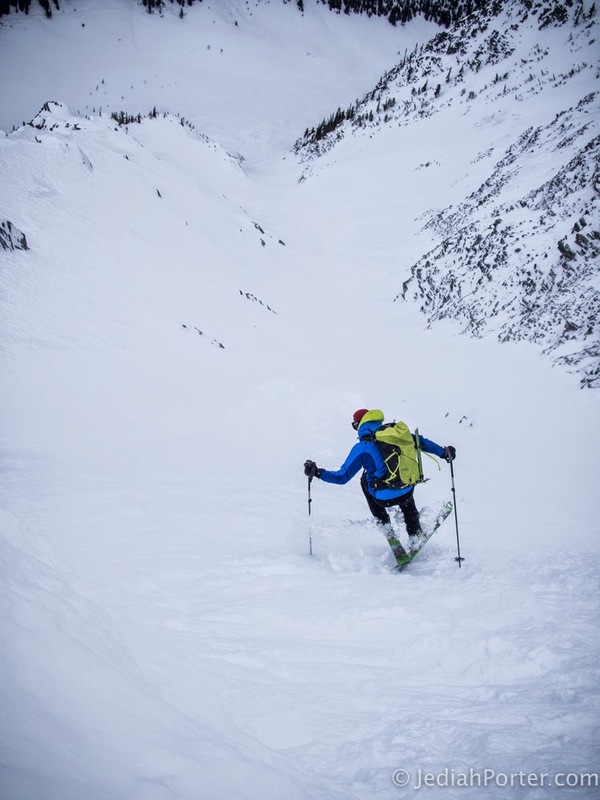 I'm starting to find that, almost as much as my IFMGA training and certification increases my own efficiency and safety and improves the quality of what I can provide to clients, the international certification serves as a vetting process for potential ski and climbing partners. Jeff. Kick turning. Cheops. Rogers Pass, BC. 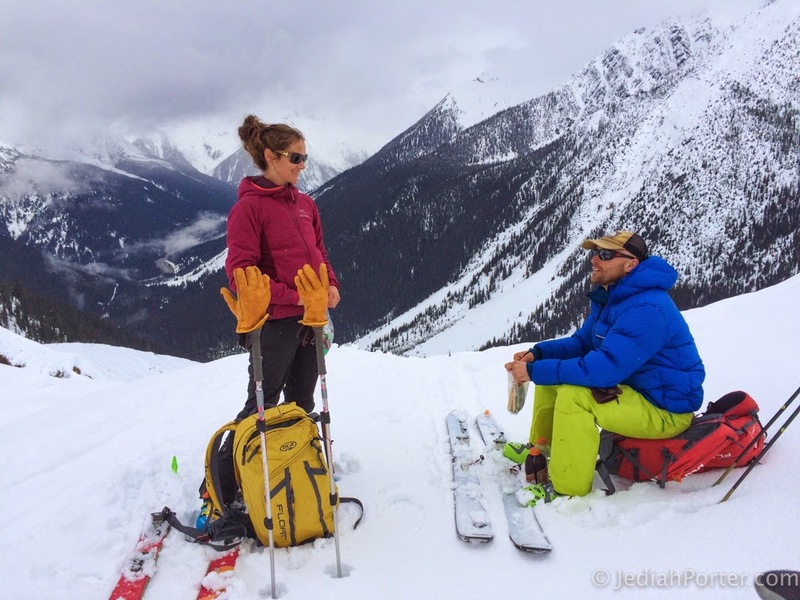 Jeff's prepping for his final IFMGA guide's exam. He and I were little more than acquaintances a week ago. 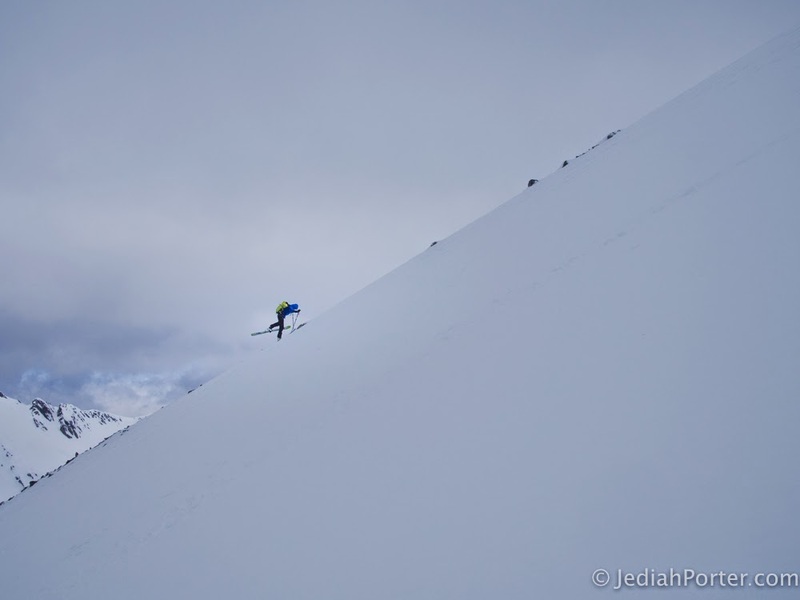 He's prepping to ski hard in Chamonix in April, and I'm just into skiing hard. We were both in Jackson on what was looking to be a good day. We hatched a burly plan, but then notched it down. 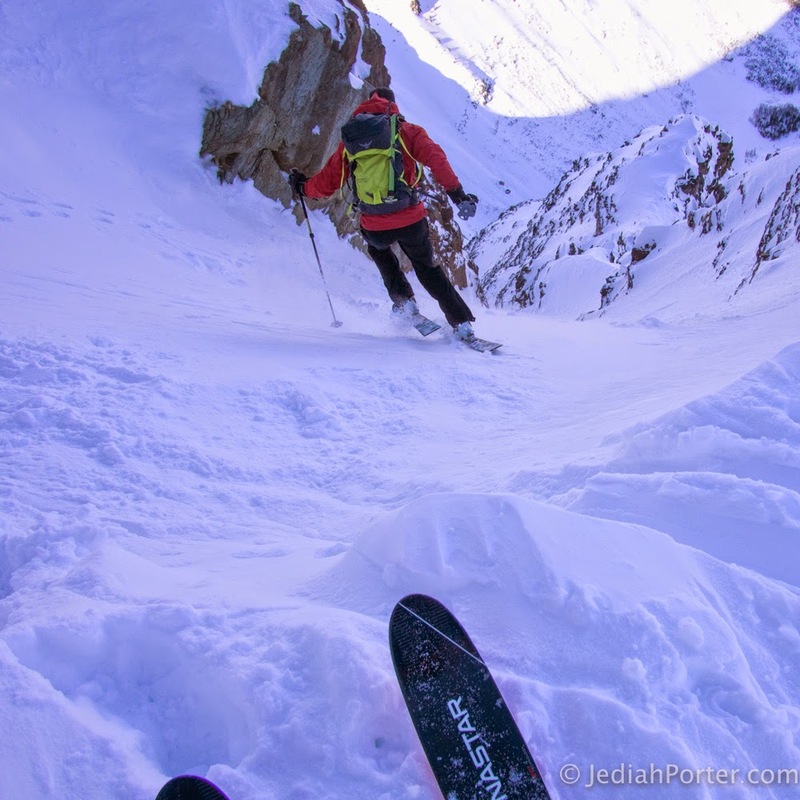 Still, we busted out a 7,000 foot day, including Nez Perce's classic Sliver Couloir. Jeff. Sliver. Nez Perce. Tetons, WY. I rested a day, then drove a long day north. Jeff convoyed north with me. STS. Cheops. Rogers Pass. Fresh outta the 15 hour road warrior stint. It started as a ski mission. But with our respective ladies on other agendas for the time being, we bromanced a little. Jeff cooked me dinner. I cooked breakfast. He scouted Rogers Pass, while I cooked us up a quest over in the Rockies. On which I'll elaborate more eventually. Meagan's grandmother passed away late in February. She went back east to be with family these first weeks of March. She was honored to speak at the ceremony and touched to be able to celebrate Doris' life with her family. And I was honored to have my lovely wife back with me, in her home country. Higher on the Illecillewaet Glacier. Weather closed in. But it opened up enough to let us down into the Forever Young Couloir. Meagan made her first turns in the backcountry in a month and half right down into untracked goodness on this mega classic gully at Rogers Pass. Hot stuff. 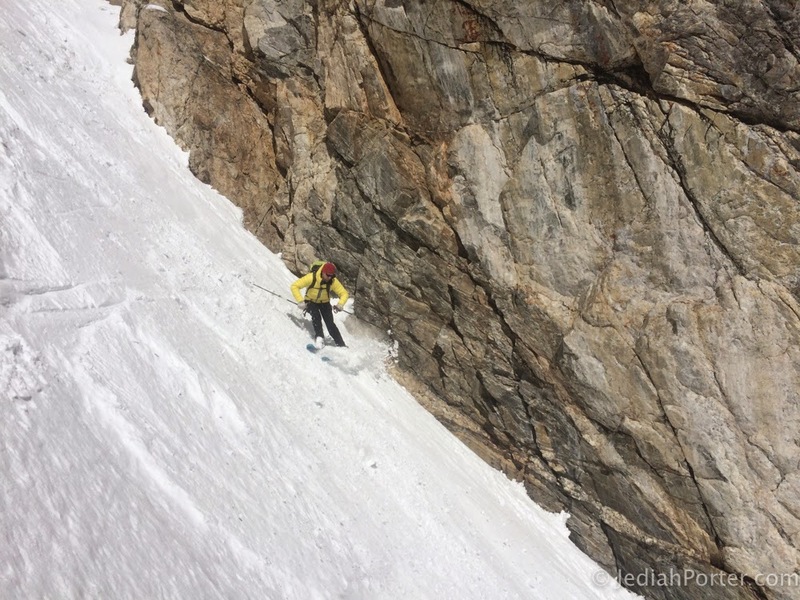 We picked our way down this steep route in intricate conditions. 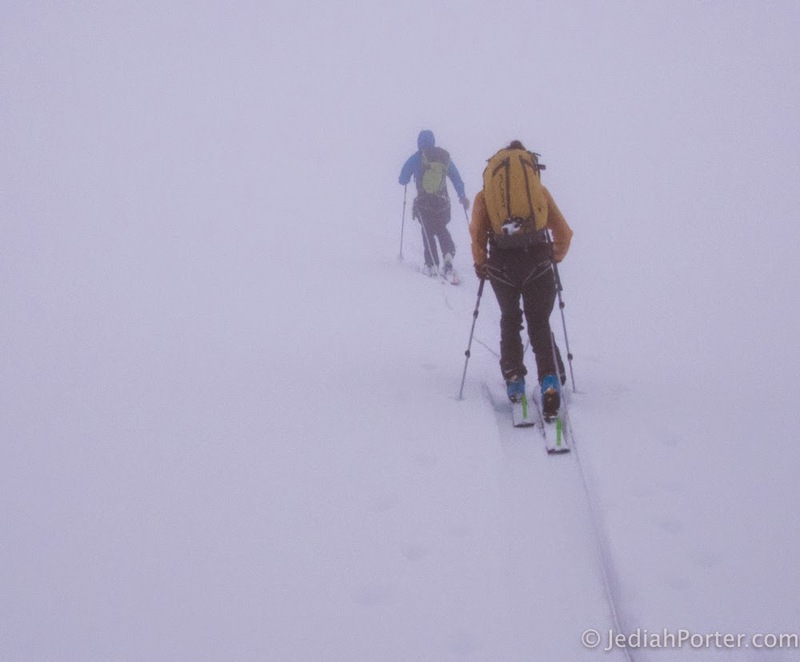 Jeff made the most of the conditions, checking off a number of his preparatory goals. Yours truly. Feeling "forever young". Young Peak, BC, Canada. Jeff Witt Photo. Another moment. Another Jeff capture. How often do M and I get to share a photo together with such an amazing chunk of mountain? Thanks Jeff for the shot! Jeff Witt Photo. The last objective on our week of ski mountaineering (a week that, I must add, included climbing basically the equivalent of Mount Everest from sea level. We can use such an otherwise trite comparison. 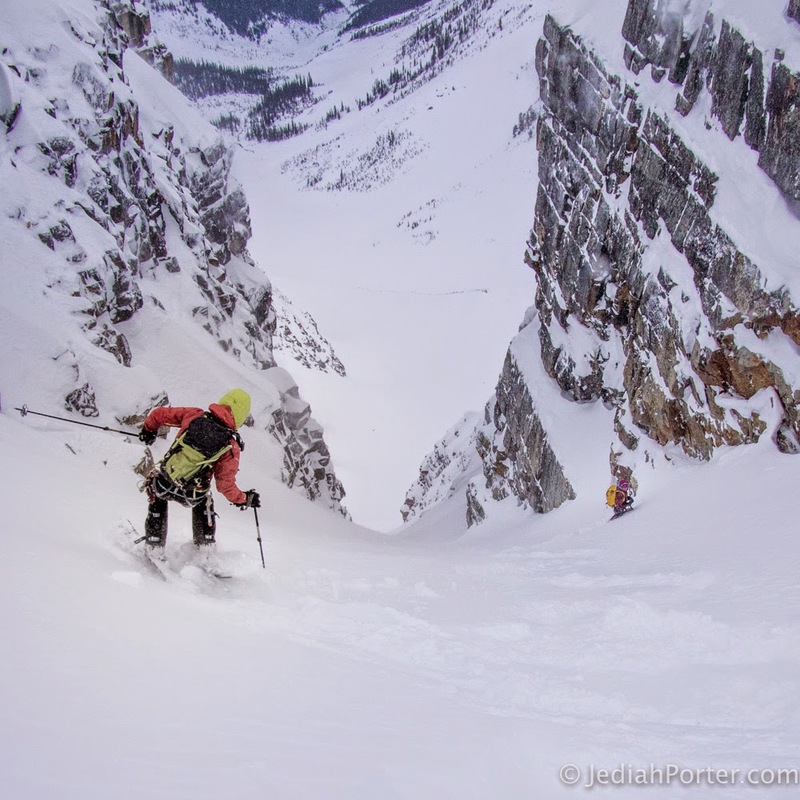 Jeff's been to the top of the world) was the Aemmer Couloir above Lake Louise, Alberta. Meagan's travels and family time and the big exertion on Youngs Peak caught up with her. A burly cold virus pinned her down in town, where she watched and chatted with us on the radio. 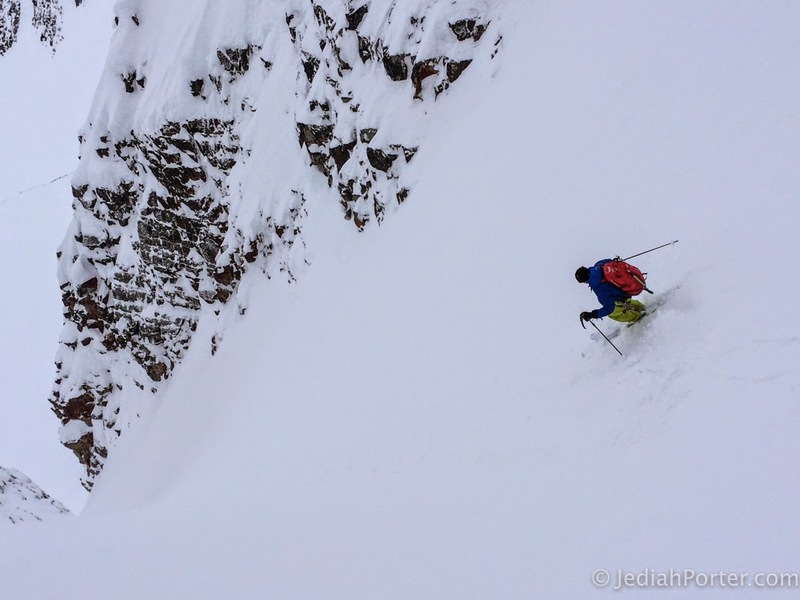 I drafted the uber-fit Jeff through another big climb, this time straight up a super-steep chute on the shoulder of one of the gnarliest peaks in the Canadian Rockies. 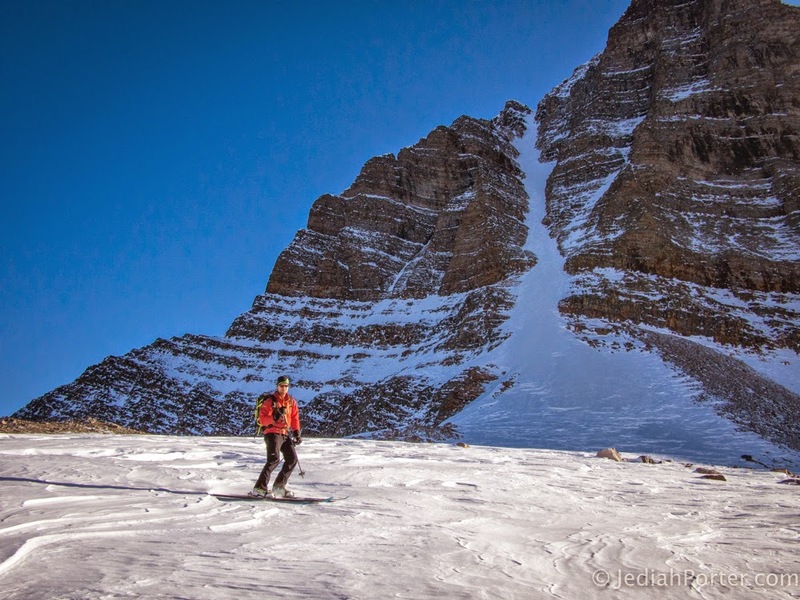 We rested briefly with an incredible view, and then skied a vertical mile back to the posh resort neighborhood around Lake Louise. First turns in the Aemmer. Perhaps the most sustained line I've skied. No joke. Below the Aemmer. Mount Temple, Alberta.